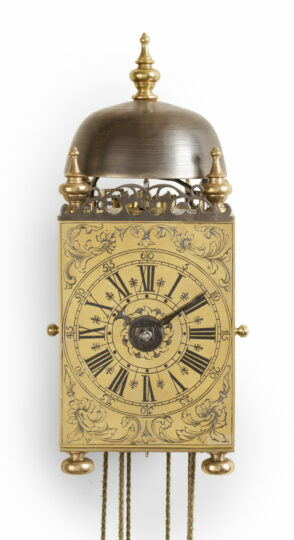 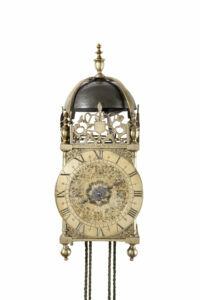 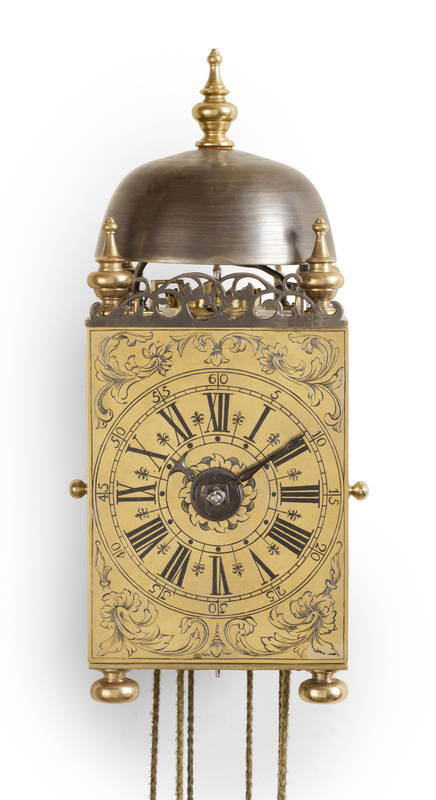 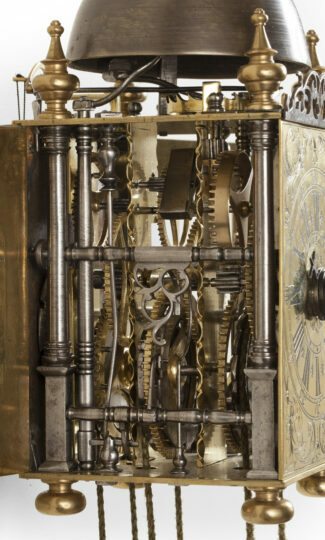 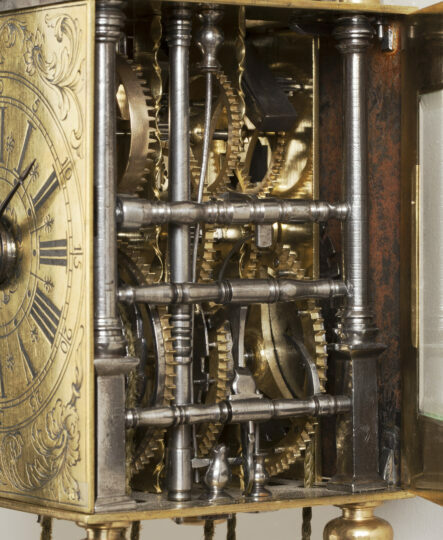 The weight-driven day-going three-train brass movement of this lantern clock has going and striking trains, constructed between vertical bars. The going train has a horizontal verge escapement, situated on the top plate and a short pendulum. 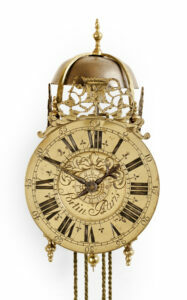 The quarter striking indicates the hours on a lower-pitched bell and the quarters on a higher-pitched bell.